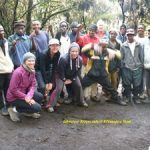 Mt Kilimanjaro climbing Marangu Route ,Trekking and Climbing Mount Kilimanjaro at Mt Kilimanjaro National park. 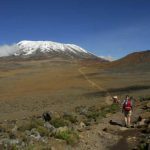 The Mount Kilimanjaro – Marangu Route climb, is the easiest and most popular. 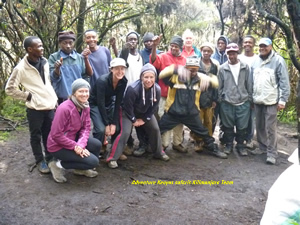 We highly recommend for young and old trekkers to Marangu Route – Mount Kilimanjaro climb. 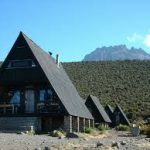 This route is the easiest and have the widest, most comfortable path to walk on and offer hut accommodation :Marangu route on Mt. 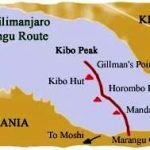 Kilimanjaro, Marangu route info, climbing and hiking guide, maps via the Mandara, Horombo, Mawenzi, Kibo huts and camps. 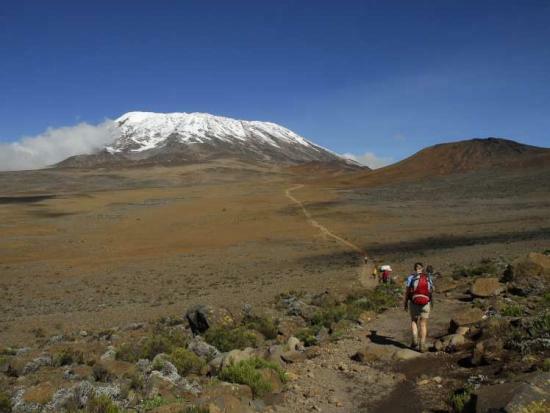 Boards shuttle bus from Nairobi at 0800 hrs and proceed to Arusha arriving at 1300hrs. 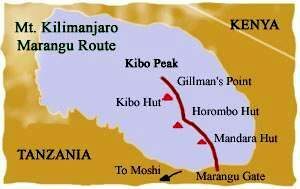 Depart for Moshi at 1400hrs arriving at 1530hrs. 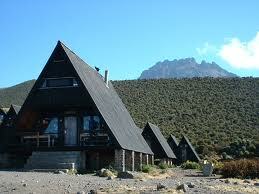 Dinner and overnight at a hotel in Moshi or (Pick up from Kilimanajaro airport and transfer to hotel in Moshi).